Do You Have a “Travel Blogger” Personality? 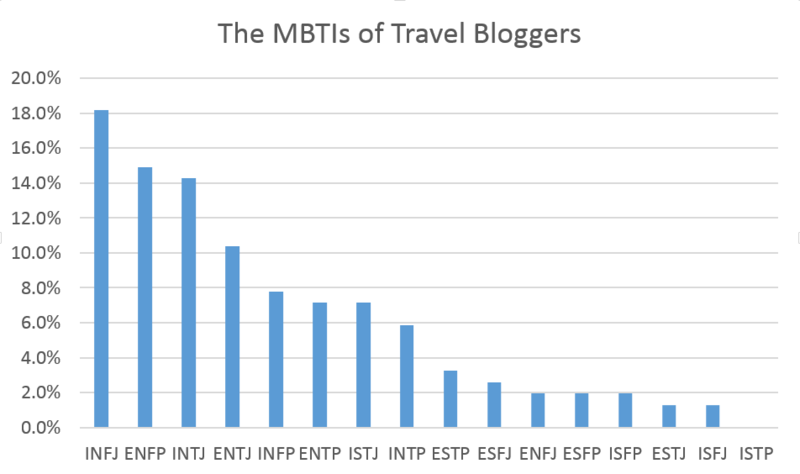 Thanks to my raging curiosity, I polled a bunch of travel bloggers to find out their MBTI types. Sure, there are plenty of people who rail about how unscientific and meaningless the test is. I don’t begrudge them their points aThe either/or dichotomies are too limiting, it doesn’t matter, results for some people are inconsistent, it ignores a critical personality factor – conscientiousness. I like to think of the MBTI as an opportunity for introspection that can often lead you to “your tribe.” Or keep you away from them. Or just explain why you always feel like a sore thumb. Or why you and your partner get along so well. Or why you and your ex didn’t. Wait. You Like Spreadsheets, Too? I didn’t start to wonder about my fellow travel bloggers until I noticed “spreadsheets” being mentioned over and over in group conversations. Y’all know I love-me some spreadsheets. As in: I have between 3 and 7 open on my computer at all times. What Does it Take To Be A Blogger? I’ve explained before that Blogging is No Easier Than Being A Stripper. The need for tenacity and patience is off the charts in the blog world. Plus blogging is a job just like any other full of unlovable tasks. And only 23% of bloggers across all industries make it “big,” earning at or above the physical therapist/physician’s assistant/paralegal/construction project manager level. The rest of us take home the annual equivalent of a $7.69/hour job (But we work 65% less to get that cash as compared to a 40-hour worker). Bottom line: it takes a certain something to be a blogger, to put up with the slog, and to hustle. Before I start with the pictures, I feel duty bound to point out that this data was drawn from a small sample size (77 responders), is all self-reported, and may be skewed by a variety of factors. E.g. Who tends to participate in Facebook blogging groups? Who tends to be online daily? Who cares enough about MBTI to already know their type or be curious enough to go find out and report back? The coming “conclusions” could actually just be measuring one of the latter components. But enough with the scientific technicalities. Let’s have some fun! And some beautiful graphs! Data for 77 travel bloggers from around the world polled over 20 hours via a Facebook group. Data for 77 travel bloggers from around the world polled over 20 hours via a Facebook group. General population data pulled from the Myers & Briggs Foundation website. Wow! I knew travel bloggers (and bloggers in general) had to be rare breeds. You have to be pretty ‘crazy’ to take on hours and hours of work that may go eternally unpaid. 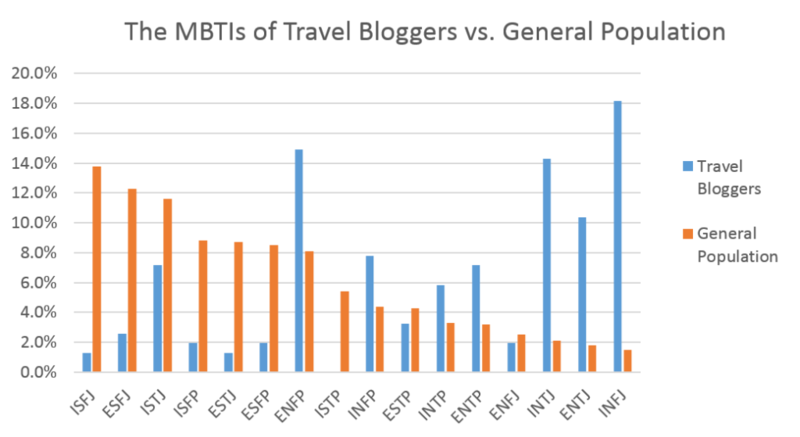 Given that, I guess it’s no surprise that the three least-common personality types among the general population are in the top four most common personality types among travel bloggers. I guess travel blogging is where all the black sheep end up?! Do You Have “Travel Blogger” Traits? probably a heavy “N” presence. This Myers Briggs letter has to do with how people process data. An N will focus on the future, look for patterns and impressions, and think abstractly about the big picture. An S… probably already stopped reading. 😉 They are present-focused, into the “here and now,” putting energy into specific facts and concrete details. Writing and tying one’s experiences together for the world seems like a very N thing to do, no? a balance of feelers/thinkers, but potentially tending toward the thinking side. There’s lots of heavy-lifting to be done in the blogging life, and I presume thinkers thrive at these tasks. probably a heavy “J” presence. What good is judging something if you don’t get to tell someone your judgement? Enter: blogging! However, when I did a little research for this bullet point, I discovered “judging” doesn’t necessarily mean judgmental. J’s tend to be rule-followers who like a plan whereas P’s are flexible and relaxed. In that case, it seems like travel bloggers might tend to be the latter. After all, travel repeatedly demands adventurers go with the flow! 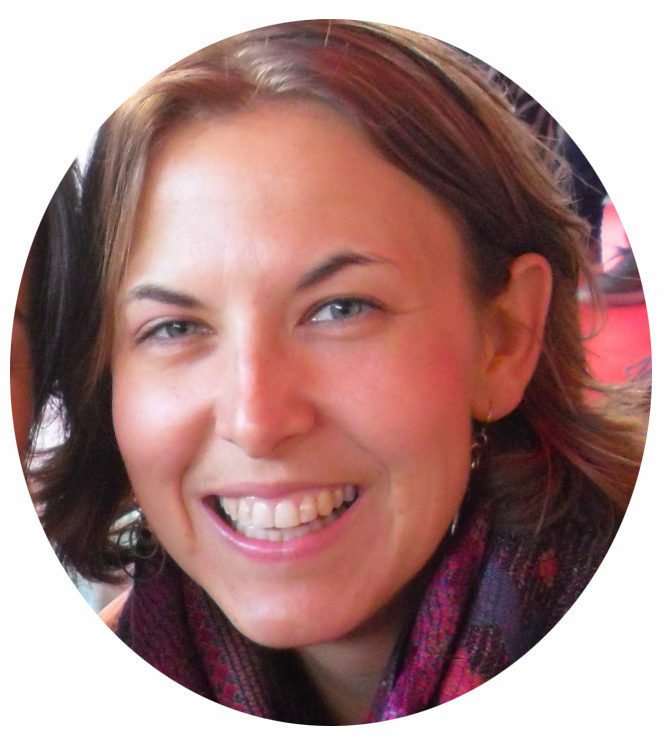 Travel bloggers tend to be introverts and judgers, rather than extroverts and perceivers. They have a slight tendency toward “feeling” vs. “thinking.” But they are very, very likely to be an N versus an S. Makes sense, right? Taking a bunch of data or experience, pulling together the good bits from the abstract, processing information, and then sharing it with the world? Sounds like a blogger to me! 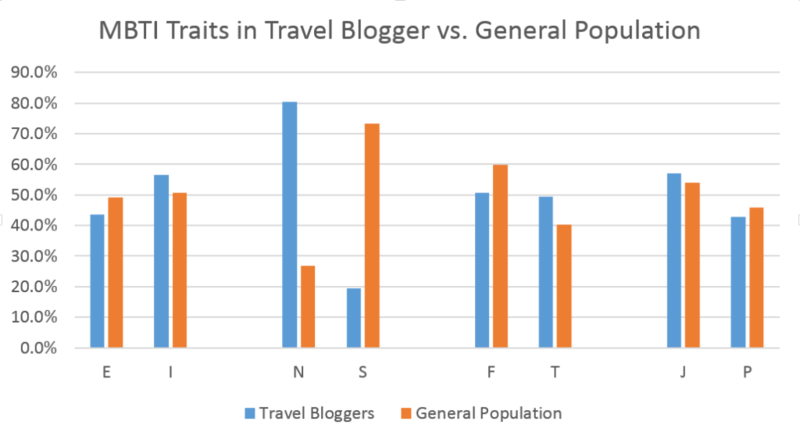 And here’s how travel bloggers’ trait distribution compares to the general population. 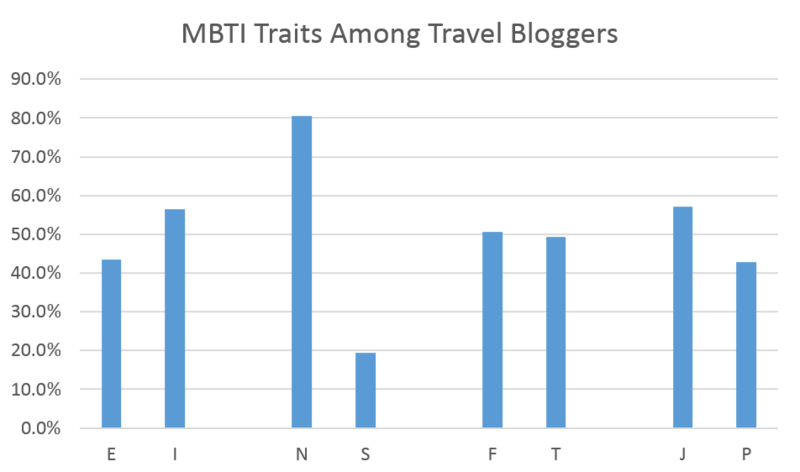 Again, while travel bloggers are slightly more introverted, thinking, and judging than the general population, the real stand-out is that “N” trait. Almost an inverse correlation with the general population. So if you’re an N, chances are you’ve got what it takes to succeed as a blogger. Or at least a travel blogger! What do you think? Are you ready to start a blog? Rolling your eyes at more Myers-Briggs hogwash? 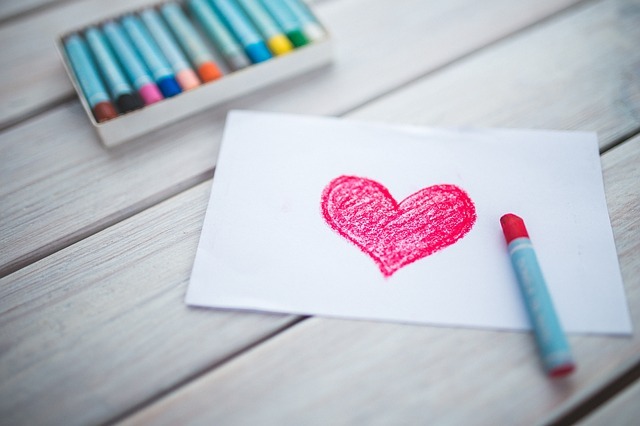 Glad you finally figured out why so few people love what you do? Share in the comments if you like! a. ↑ The either/or dichotomies are too limiting, it doesn’t matter, results for some people are inconsistent, it ignores a critical personality factor – conscientiousness. Hi! I love this article! I know it was written a while ago, but I am totally an INFJ and have recently started blogging. 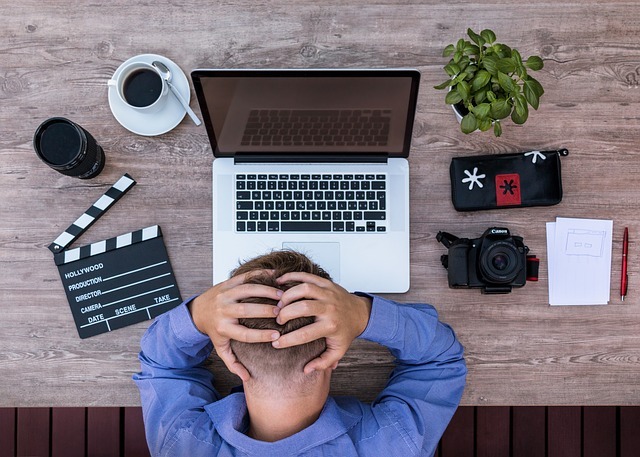 But I find that the ‘perfectionist’ and ‘burn out easily’ aspects of my personality have stopped me from really getting anywhere with my blog. How do other INFJ’s overcome this!!? and ep 31 is going to be about dealing with a big backlog of projects. Good luck with your blogging! It’s hard… but also rewarding! Very amusing article! I’ve taken a few of these personalities tests, the Myers Briggs and a few others, and they sometimes give conflicting results, since responses to questions can vary based on the wording on the question etc. However, I do think they give a little bit of insight. Personally, I’m right on the line between an ENFJ and an INFJ. Growing up, I was definitely an introvert, but as I’ve gotten older and my self-confidence has increased, I find myself growing more towards the ENFJ. Still, I often felt like I really didn’t fit in with my peers, simply because I tended to look at the world/life differently than they did. Turns out, it’s because I have one of the rarest personality types! At the same time, it’s comforting to see that other bloggers have the same personality type as me. It means that I’ve finally found where I belong! Hi Kiyoko! Yes, personality tests are notoriously unstable for many. One blogger took the test in two languages, and her type changed depending on which language the test was in. Crazy, eh? !